Today you can find a huge number of platforms at the gambling market and in the online gambling industry. Many companies use Western systems, platforms and casino software. But among the necessity to buy casino software, you will also need to adapt your product to the audience. Not every gambling soft is suitable for the Russian market, Ukrainian and for the markets of the other countries of the post-Soviet space. Furthermore, those who are just planning to open a turnkey casino will need a user-friendly management system. Let us bring to your notice unique casino software, which can be purchased from the Casino Market company – the software solution of SlotSoft. The online casino platform is suitable for online casinos, gaming terminals and interactive clubs. A huge advantage of SlotSoft is that it offers the customer support service. The company's representative offices and technical services are located in several countries, such as Russia, Ukraine, Georgia, Armenia and Kazakhstan. Specialists of the company will coordinate your project, this is why the online casino platform from SlotSoft will become profitable and conquer the market in a short period of time. If you are nor sure about the legal aspect in respect of the casino (it is worth noting that gambling is prohibited in Russia and Ukraine), SlotSoft is an ideal product for your gaming club. SlotSoft is an in-house development, and this is why you will be able to run a gambling business without breaking any law, which prohibits gambling. This casino software for clubs is called Meteorslots Finstrum. Using this gambling soft you will be itemized as a payment system agent, and players will get an access to a certain kind of content. On such terms, your equipment, PC or terminals will work without a special gaming fee, so they can be no taxation. In order to install the equipment and casino software you will need a terminal with an LCD screen, a touch screen and an anti-vandal cover. Gaming computers form a local network, and the monitoring program is installed on one of its terminals. The Meteor Slot – is a more extensive online casino platform with a ready-made set of games. SlotSoft has a set of platforms for gaming terminals, which increase income, improve management and lighten the work of operators. Software for terminals includes four systems. Two of them we have already mentioned – these are Slotsoft and Infiniti. These systems will improve the management of terminals and provide them with high-quality content. Do not forget that with SlotSoft you do not have to worry about audit and violation of the law. Slot machines serve as payment terminals. The lottery terminal. It has very user-friendly software and can be integrated withtin any region where lotteries are allowed. Tickets here act as paylines, and the amount of winnings depends on the combination on the ticket. This software for terminals is completely legal; it has a license and meets the requirements of the provider. Stock exchange terminal. This is exactly the system, which will allow you to conduct business activity in an open and legal way. A special block is created in slots-terminals on the basis of SlotSoft, where an exchange rate of the simulator is displayed. This course depends on the game of RNG; it can grow or become lower. This principle of a gameplay helps to predict the trend of growth or recession. The functionality of the dealing terminal seems simple. First of all, the player selects a slot in the menu, and then a window with the game and its management tools opens. At the left of the video slots window you can see the exchange rates, the recession and growth of the stock exchange simulator. Everything is just in ordinary casino slots, with the only exception – it is legal. The SlotSoft team came up with a brilliant idea to run a business openly via gaming clubs and terminals. If you want to get a completely legal turnkey casino, we recommend you to buy necessary casino software created by SlotSoft from Casino Market. We are talking about multifunctional casino software with a full set of games from the best suppliers. This gambling soft can be installed on a powerful computer and then you can control the gaming processes and the amount of your income. SlotSoft offers its customers to purchase the best casino slots from the Igrosoft software manufacturer. This provider also has a representative office in Russia. There are more than 400 games in this online casino gambling system. Crazy Monkey. 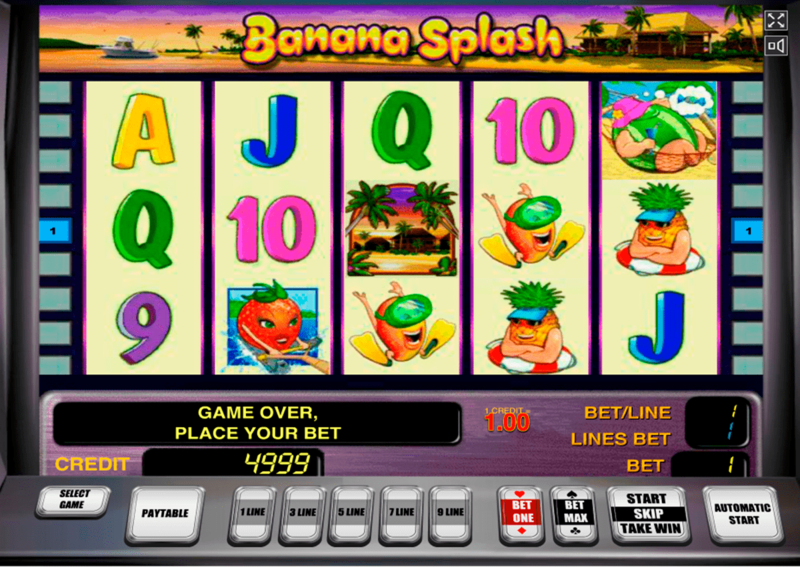 This slot has brought really huge popularity to the Igrosoft company. A funny game with a charming monkey and delicious fruit, as well as great animation. Here you can not only spin reels, but see butterflies flying and a monkey playing. There are also free spins and a bonus game in the slot. User can select up to 10 paylines. The maximum amount of a bet on the line is 25 coins. The main character, the monkey, can bring players 5000 coins. Winnings are calculated in accordance with the symbol's coefficient and the size of bets. Garage. Another famous animated video slot from the provider Igrosoft. Russian-speaking users will surely like this game, because the story is well-known to everyone. Among the symbols in the slot we may see different parts of cars, oil, motors and radiators. The main character is a motor mechanic, who will amuse players while they spin the reels. As in most Igrosoft casino slots, this game has 5 reels and 9 paylines. There is also a bonus game, in which users can increase their winnings if they choose the correct box with the key in it. Book of Ra. This slot machine has become a real culture in the world of gambling, and, perhaps, one of the most famous slots from Novomatic. 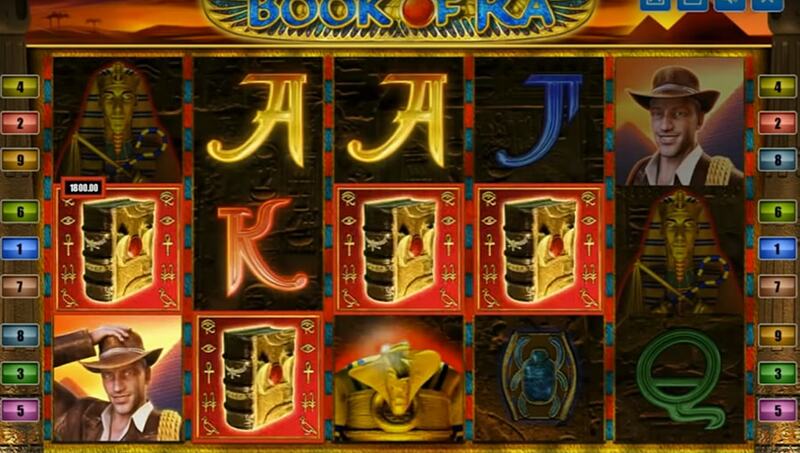 Even those, who have never played casino games, have heard about the Book of Ra. 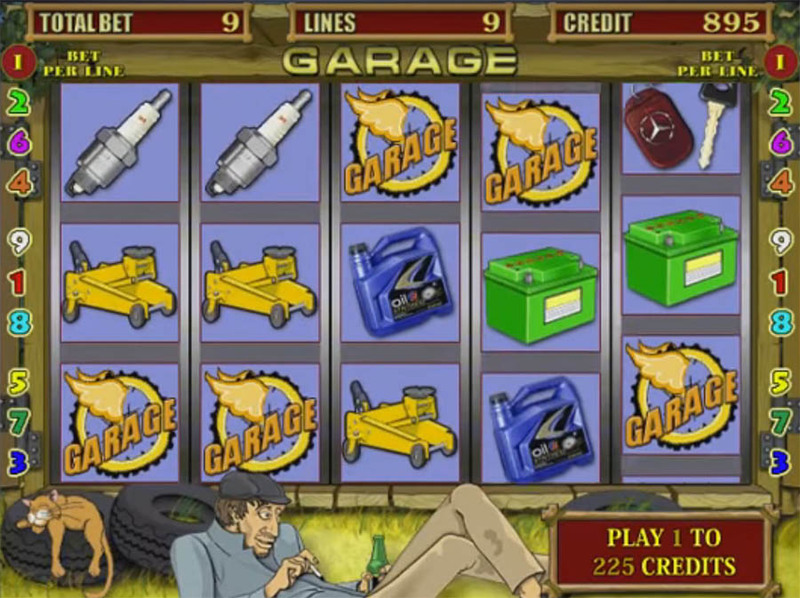 The mechanics of the slot are very simple – 5 reels and 9 paylines. 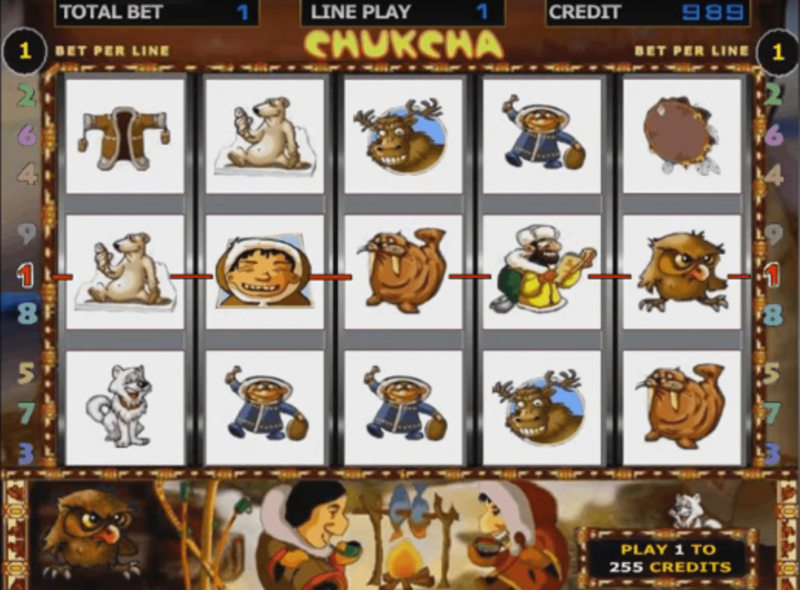 Players can choose the amount of lines by themselves and make bets from 1 to 100 dollars. Despite its simplicity, the game has wilds, scatters and a multiplier. The maximum amount of winnings is the size of a bet multiplied by 500 times. Book of Ra Deluxe. An updated version of the popular slot from Novomatic. By the way, this is not the only version of the game: after the developer has created the emulator of the gaming cabinet, Book of Ra has been updated for three times. In Book of Ra Deluxe, the payout rates have been increased, and in the bonus round we are able to see a double-game, where players need to select a winning card. Free spins in the slot have also been updated. The coefficients of winning combinations during free spins have also been increased in several times. The maximum amount of a jackpot is 5000 credits. Also, developers from Novomatic have improved graphics and animation of this video slot. A new version of the most popular game in the history of gambling will surely bring good profit to your casino. Banana Splash. This is another slot machine from Novomatic that is considered to be a real hit. Besides colorful symbols, wilds, scatters and free spins, there is also a double-game. This video slot gives players a chance to get huge payments – up to 900 000 coins. That is why the game became very popular and won the hearts of gamblers worldwide. 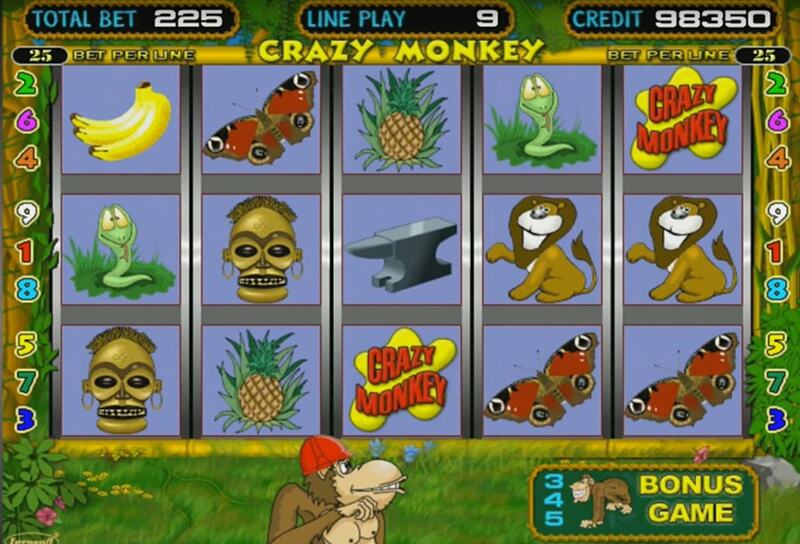 In many online casinos the rating of this slot machine is 93-95%. Chukcha. The theme of this game is based on the life of indigenous Arctic ethic groups. Under the reels and in front of the fire you may see two Chukchi sitting together, drinking hot tea and cooking fish. Among symbols of the slot you will be able to see different inhabitants of the North Pole: dears, polar bears, seals, wolves and the Chukchi themselves. In the game, you can choose the following number of paylines: 1, 3, 5, 7 or 9. The top panel displays the rates, lines and credits. There is also a bonus game where users will play against the dealer: they will need to choose a card that has the same suit with the card that already lies on the table. If you want to buy a ready-made gaming club, SlotSoft can offer you something really interesting. A turnkey casino from this brand has already been installed in many gambling establishments in Eastern Europe and Asia. If you buy casino software from SlotSoft, you may not worry about the technical part – your website will run faultlessly. Specialists of the company will keep in touch with you at any time, assisting in the organization and management of the online casino. Gambling soft from SlotSoft is a relatively simple online casino gambling system, which has standard but high-quality gaming platforms. Interactive club, terminal, online gaming club, lottery, online casino - the SlotSoft online casino platform will adjust to your gambling establishment. However, the main feature of this casino software is that it turns a gambling business into legal transactions with payment terminals. It is almost impossible to create a casino legally in Russia, Ukraine and other countries where there is a ban on such activities. But SlotSoft succeeded. If you want your website to have a connection with SlotSoft, please contact the company Casino Market. Its specialists can develop a customized casino or a turnkey casino with a ready-installed set of games and payment terminals. Your casino will be ready to launch within the shortest possible time.